Sounds like it’s just up the alley for our consignment and resale shops, right? Like these twosigns, stapled to electric poles, for a small gift shop. 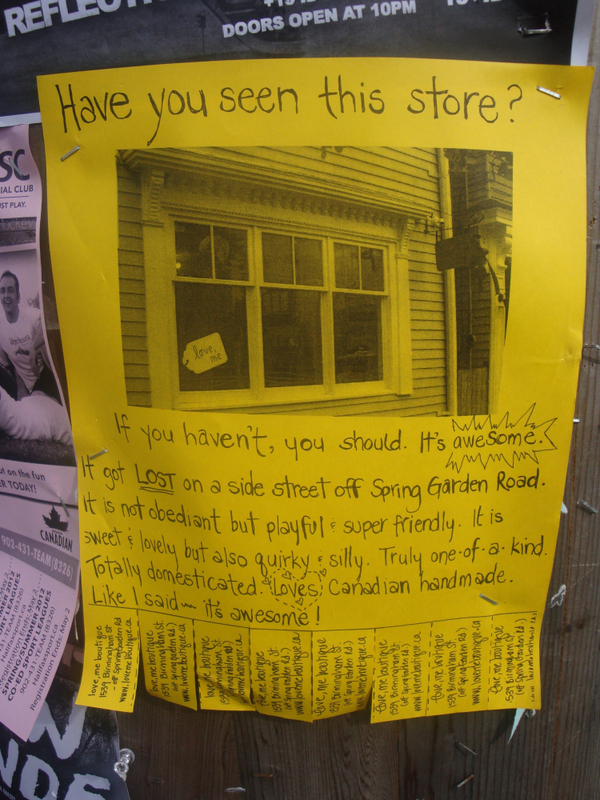 A play on lost pet flyers, right down to the yellow copy paper… and the tear-off strips with the shop’s address! Rambling, stream-of-conscious passage here, discussing all the wares the shop had that could help improve the reader’s life… a similar message could work as well, for a blog post or reading matter in the local coffee shop! Alas, the shop closed in 2012. But the ideas will never die! Read the author’s blog post. Never encountered the Guerilla Marketing books? Although the originals were written pre-social media, they are still treasure chests of low-cost, quirky, high-word-of-mouth ideas. I highly recommend them to consignment, thrift and resale shops who want to keep their heads above the waters of the Sea of Sameness. I love that have you seen this store flyer! 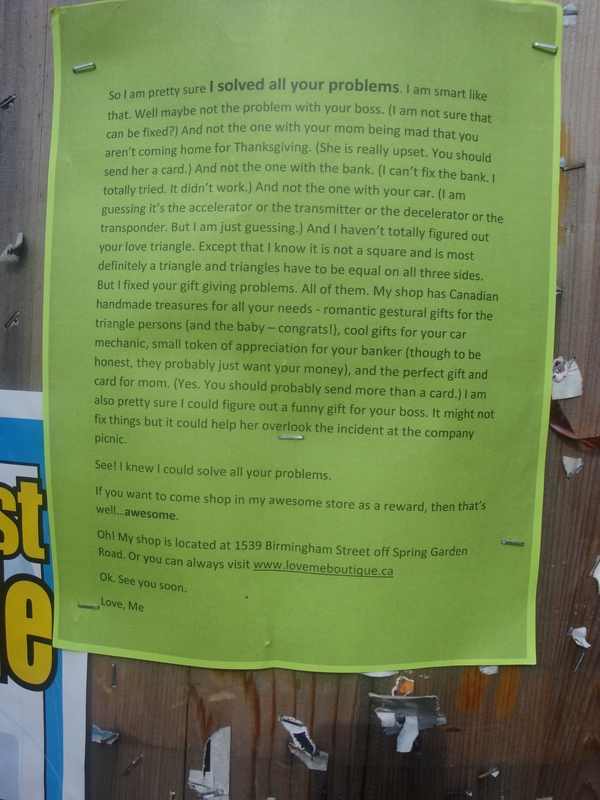 What an awesome way to take advantage of those bulletin boards around town! So simple, affordable and effective. Thanks so much for finding and sharing all these great ideas!